Complications are mounting in environmental litigation as the federal government hobbles through its partial shutdown. Justice Department lawyers defending federal agencies in scores of environmental cases have sought to delay deadlines, frustrating advocates trying to fight the Trump administration in the courtroom. The federal courts, too, are running out of gas. The judiciary has enough money to keep paid operations running through the end of next week. Then, the system that fields more than 260,000 new civil cases and more than 50,000 appellate cases annually will have to curtail services and staff. Environmental lawyers say the litigation delays aren't just an inconvenience; they're an injustice (Greenwire, Jan. 2). "We are at an inherent disadvantage because we are trying to use the courts, and go through the process, follow the rules and make sure that the laws are enforced," said Earthjustice attorney Thomas Cmar. 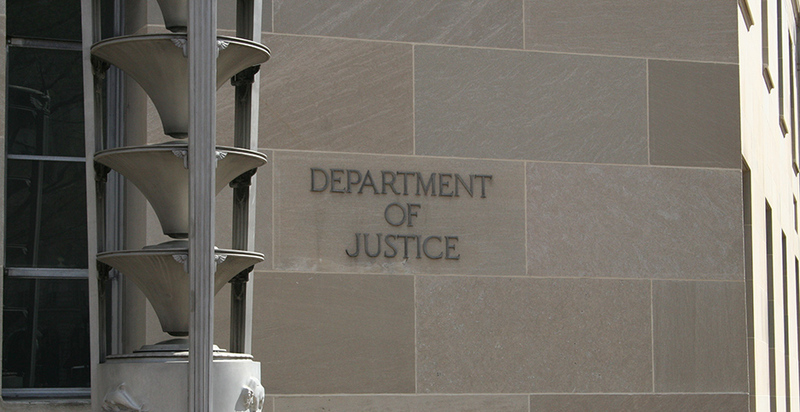 DOJ staff defended EPA on an average of about 155 cases annually as of 2010, according to a 2011 Government Accountability Office report that is likely outdated by the flood of challenges to Trump administration moves. In a legal battle over EPA's decision to freeze Obama-era standards aimed at reducing climate-warming hydrofluorocarbons, for example, DOJ has asked for a monthlong extension to file a key legal brief. States fighting EPA on the issue say a courtroom delay would effectively prolong what they consider an illegal suspension of the HFC standards. "For as long as it remains in effect, EPA's unlawful suspension of the HFC rule will result in the release of significant quantities of HFCs," newly minted New York Attorney General Letitia James (D) told the U.S. Court of Appeals for the District of Columbia Circuit last week. She noted that a 30-day extension for the government's brief could delay oral argument in the case, "potentially lengthening the period of ongoing harm." The court hasn't yet decided what it will do. The Interior Department, which is another litigation magnet, is similarly hindered by the partial shutdown. Tomorrow, for instance, was the deadline for a federal government response to a lawsuit filed by the Mashpee Wampanoag Tribe in Massachusetts challenging an Interior decision affecting land held in trust. DOJ attorneys, citing the partial shutdown, pleaded for more time. "Absent an appropriation, Department of Justice attorneys and employees of ... Interior are prohibited from working, even on a voluntary basis, except in very limited circumstances, including emergencies involving the safety of human life or the protection of property," DOJ noted in a brief. District Court Judge Rosemary Collyer, based in Washington, D.C., rejected the government's request for an open-ended stay that would last as long as the shutdown but agreed to extend the deadline until the end of the month. Many other Interior actions likewise face legal challenges now complicated by the shutdown. Pending lawsuits cover everything from the Trump administration's shrinking of national monuments in Utah to Interior's limiting of Migratory Bird Treaty Act protections (Greenwire, Sept. 6, 2018). Briefs on the government's motion to dismiss the Migratory Bird Treaty Act challenge, for instance, were originally due this Friday. Citing the shutdown, New York-based U.S. District Judge Valerie Caproni let DOJ off the hook but kept in place the Jan. 11 deadline for the environmental groups challenging Interior's actions. Environmental groups have raised similar complaints about delay requests in the HFC case and other lawsuits. "Earthjustice has many ongoing cases against the federal government where the federal government is breaking the law and we are suing to stop it from doing so," Earthjustice attorney Suzanne Novak said. "And now that same government is shutting down, and specifically not providing funding to defend those actions, and forcing 'stays' so that it can continue breaking the law," she said. Judges have granted many of the government's requests to delay proceedings because of the shutdown. One of Collyer's D.C.-based colleagues, for instance, granted DOJ's shutdown stay request in a high-stakes lawsuit filed by the Ute Indian Tribe staking claim to more than 2 million acres in eastern Utah. Justice had previously sought a Jan. 23 deadline for filing a response. "Counsel will notify the court as soon as Congress has appropriated funds for the department," government attorneys assured Judge Royce Lamberth. But in Sacramento, Calif., a federal judge rejected a DOJ request to postpone an oral argument Thursday in the Klamath-Siskiyou Wildlands Center and Western Environmental Law Center's time-sensitive bid for a temporary restraining order to stop a Klamath National Forest timber sale. "Usually, we try to accommodate the situation, because it's not really Justice's fault that they're in this pickle," WELC staff attorney Susan Jane Brown said today. "But in my case, logging has been ongoing and I'm seeking emergency injunctive relief, so in this case I was not comfortable in accommodating [DOJ's] request." Environmental litigation has been particularly affected, with more than half of DOJ's Environment and Natural Resources Division employees considered "excepted" from furlough (Greenwire, Dec. 28). In litigation over EPA's coal ash rule, the D.C. Circuit has agreed to a short extension of an upcoming deadline. At issue is whether EPA must promptly enforce Obama-era deadlines for closing problematic coal ash impoundments. Cmar pointed out a Freedom of Information Act case that's also time-sensitive. Earthjustice is seeking records from the Army and Air Force related to the siting of migrant family detention centers on military bases with toxic contamination. The case is on hold thanks to a blanket order from the district court hearing the litigation, but the Trump administration can move forward with its plans for the detention sites in the meantime. "So in effect, what's happening here," Cmar said, "is that the Trump administration, by unilaterally forcing a government shutdown over immigration, has slowed down our efforts to shed light on the dangerous risks that its policies would impose on families and children who would be detained at these military bases if its plans go forward." "Our whole job, everything we try to do at Earthjustice, is make sure that the laws that are on the books are enforced by the courts that are there to protect people from government or private misbehavior," he added. "When the courts are slowing down and the agencies aren't there on the job, that doesn't help us." But not all federal courts are allowing the shutdown to disrupt litigation schedules. In the high-profile kids' climate case, for example, the 9th U.S. Circuit Court of Appeals yesterday granted youth plaintiffs' motion to fast-track briefing, despite a filing from government lawyers noting the lapsed appropriations for DOJ and other agencies the case affects. The first brief is due Feb. 1 (Greenwire, Dec. 21, 2018). Other courts have rejected government delay requests more directly. In a long-running dispute over water quality in the Everglades, a district court judge in Miami tersely denied the government's bid to put off deadlines. Similarly, a federal judge in West Virginia has rejected delay requests in all cases assigned to him, writing last week that "the government should not be given special influence or accommodation in cases where such special considerations are unavailable to other litigants."